Fantasy Football waiver wire style. 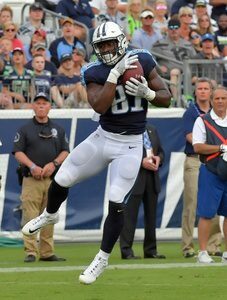 Keep up to date on all fantasy news at couchpotatogm.com. Well Lamar Jackson had quite the debut in his first start of his young career, although it wasn’t anything like what we’ve seen before. Jackson didn’t do much in the air, throwing for only 150 yards and an interception. What he didn’t do in the air he made up for on the ground however. He rushed 27 times for 117 yards in a performance that had even Michael Vick stunned. 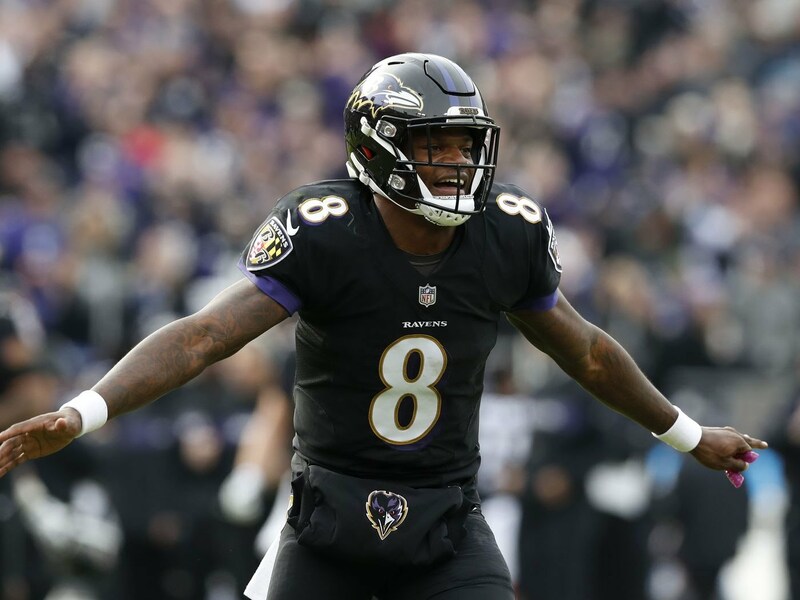 With Joe Flacco out at least one more week and Lamar coming off a victiory in his debut, he is worth the add this week to see what kind of role he will be playing in the Ravens offense moving forward. He is a sneaky start for anyone with Jared Goff or Patrick Mahomes on bye this week (such as myself). Fitzmagic came to a screeching halt yet again as Tampa Bay made yet another late game switch at QB that almost came back for the win. I am not sure if this ridiculous carousel will continue, so benching him might be a better option if you have the space, but I know I will be dropping him to stream a QB to fill in for Jared Goff. A backup QB coming off 5 interceptions over the last 2 games takes up too much room on my roster. 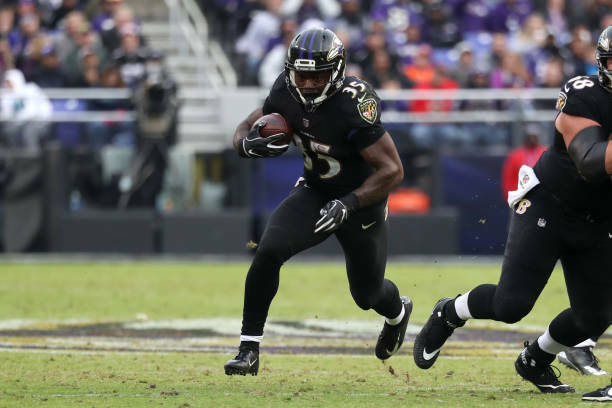 Edwards is as a rookie running back coming off a breakout game, where he shined alongside fellow rookie Lamar Jackson. Edwards had 17 carries for 115 yards and a touchdown, putting the duos rushing total at 232 yards. It remains to be seen what Edwards’ role will be moving forward with the team still having Alex Collins on the roster. However it is clear that Edwards and Jackson have a lot of chemistry, and he is worth having as a potential flex option if he takes control over the Ravens running back depth chart. With Leonard Fournette back, it severely limits Hyde’s fantasy value to the team. Right now Hyde is a RB3 on the Jaguars roster, and even when Fournette goes down the team seems comfortable giving TJ Yeldon the bulk of the carries. For the remainder of the season it seems Hyde should remain a free agent in all fantasy leagues. They’re a lot of solid pickup options at WR this week, but I decided to settle on DJ Moore. While all of these receivers are still young and are not the primary receivers on the offense yet, all of them have put up decent numbers several times throughout the year. I settled on Moore for two reasons: 1.) Week in and week out Moore’s fantasy performance is less dependent on TDs than his fellow receivers. and 2.) 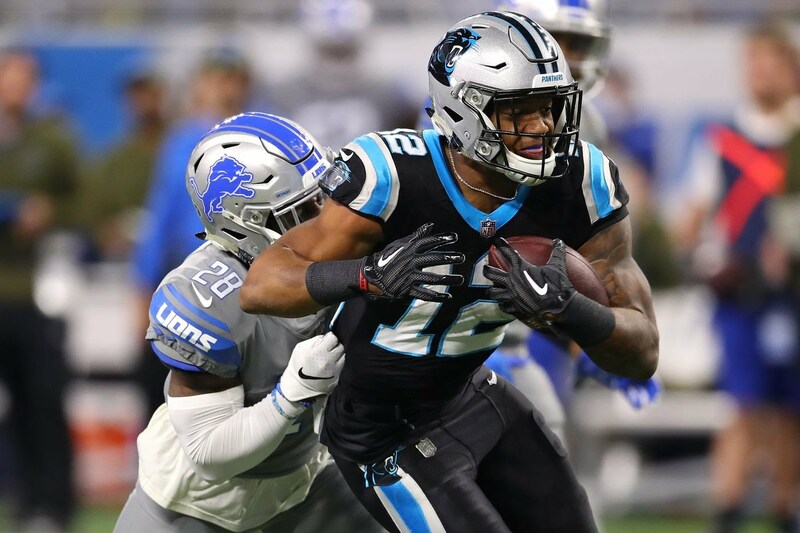 The Panthers are facing a lot of bottom of the barrel pass defenses in the coming weeks, after a week 12 matchup against the Seahawks, the Panthers play the Buccaneers, Browns, Saints and Falcons. This is a pretty sweet playoff schedule. I don’t really know what is going on with the Titans offense this season. They’ve struggled for the most part but will randomly put together games where they smack the Patriots in the mouth, just to get smothered by Andrew Luck and Company. Rather than dropping Davis I would recommend leaving him on the bench, unless he is really taking up unnecessary space in your lineup. Tight Ends are one of the toughest positions to write about each week. Other than the top players, the TE position is essentially starting a player and hoping they score a TD. The reason I have Smith listed over the other available TEs is his targets are getting higher week to week. He has had 13 targets over the last three weeks, and Mariota seems comfortable using him as a safety blanket. Smith has not only the highest ceiling, but the highest floor each week because the name of the game in fantasy is workload. This one is hard for me, with how poorly TEs having been playing this year and the physical gifts of Njoku. This segment of my article should really just be titled “Saddest Sleeper Bust of the Year”, because myself as well as many others were red hot on Njoku coming into the season. How much of an explanation do you really need for this one? You have the Cowboys offense reinvigorated since the addition of Amari Cooper, and one of the best clock killer in the game with Zeke. Now let’s take into account that the Redskins were struggling all season on offense, and now they are replacing injured starter Alex Smith (who is a perennial playoff contender) with career backup Colt McCoy. While McCoy isn’t awful by backup QB standards, the offense is likely to stall this week in primetime.